The regular season is closing and the regional and national comp season starts shortly. Make sure you watch for Coach Kim's emails that explain what athletes need to do to attend post season events and for USSA / USASA invite emails! If you have questions - ask her, or your head coach! Their current national USASA ranking in Slopestyle, Skier Cross and other disciplines. Bringing home regional podium hardware in USASA and USSA events held in PA, NY, VT, and CO in Slope, Free, Cross, Aerial and Moguls. Atheletes and parents are reminded to talk to their coaches as to which event venues they should attend to further their point totals in terms of regional and national rankings. 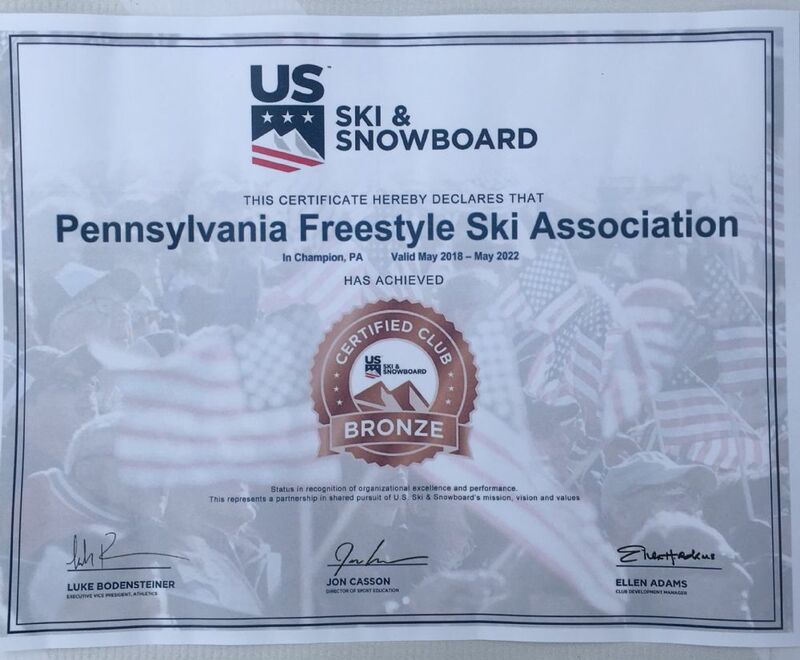 PA Freestyle (PFSA) is the premier Western PA team dedicated to the training of freestyle & freeride athletes in the moguls, slopestyle, snowboard, ski/board cross plus our Young Guns developmental team. We build a strong snow sports foundation, support competition for all levels, have fun, build friendships and provide the highest standards of coaching.. Morning and Afternoon Sessions for intermediate and advanced skiers and riders are held on Saturdays and Sundays from mid-December (once the resort opens) through February for Ages 8-18.